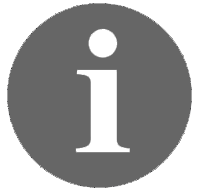 We know how difficult it can be to take out those heavy appliances when you need them. 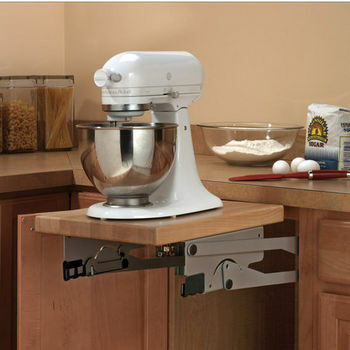 That's why we are proud to offer you this great line of appliance lifts that you install right into your kitchen. 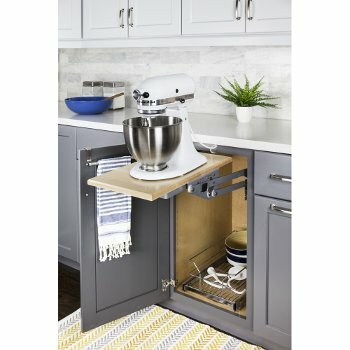 Now, taking out your heavy appliances is a breeze. With an easy pull of the shelf, your appliance is lifted right up to counter level. 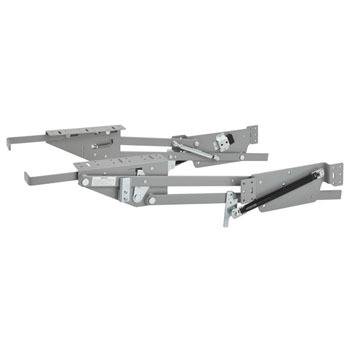 Store and use your appliance on its own swing-away/hide-away shelf from trusted brands like Knape & Vogt and Rev-A-Shelf. 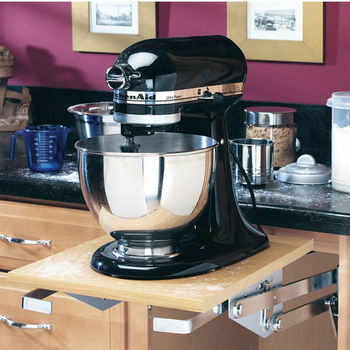 Free up your counter space and make it easy to reach small appliances with an appliance lift. 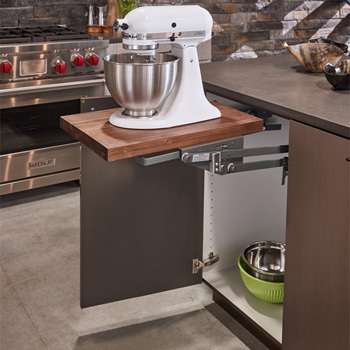 Appliance lifts operate with spring-loaded or gas cylinder assist mechanisms to raise your appliance to countertop level, so you don't have to do the heavy lifting. 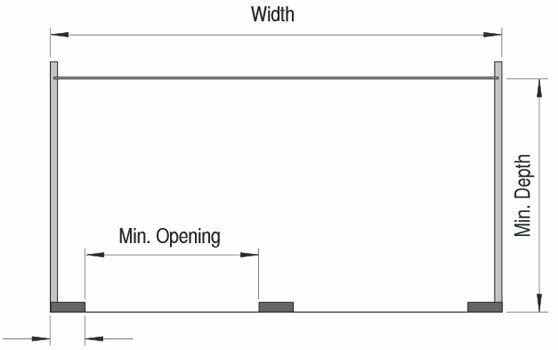 When you're finished, the appliance is concealed in the cabinet. 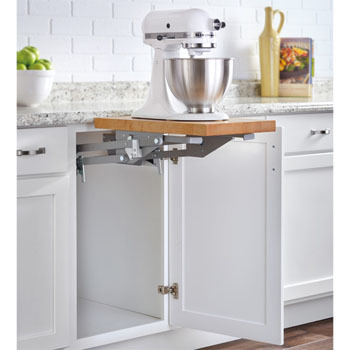 The appliance lifts install into your base cabinets, and are ideal for mixers, blenders, food processors and other small kitchen appliances. 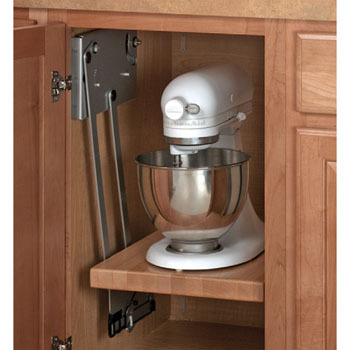 Some appliance lifts can be used in cabinets with an upper drawer.